Loretta Lynch Nomination Hearing: Attorney General Nominee Has Long Record On Civil Rights, But Can She Make A Difference In Washington? New York boutique owner Alison Houtte had no idea who Loretta Lynch was when she first came in years ago looking for vintage pieces to mix and match with her designer clothes. Another customer had to clue her in: “You have a heavy hitter shopping [here],” she informed Houtte, the owner of Hooti Couture, a shop in the Park Slope neighborhood of Brooklyn. “She’s probably the most polite woman I’ve ever met -- the word 'unassuming' comes to mind,” Houtte said on Tuesday, the day before Lynch, the head of the Brooklyn-based federal prosecutor’s office, was set to be grilled in Washington as the nominee for attorney general of the U.S. “She’s never wearing the title on her sleeve,” Houtte said of her now-friend. 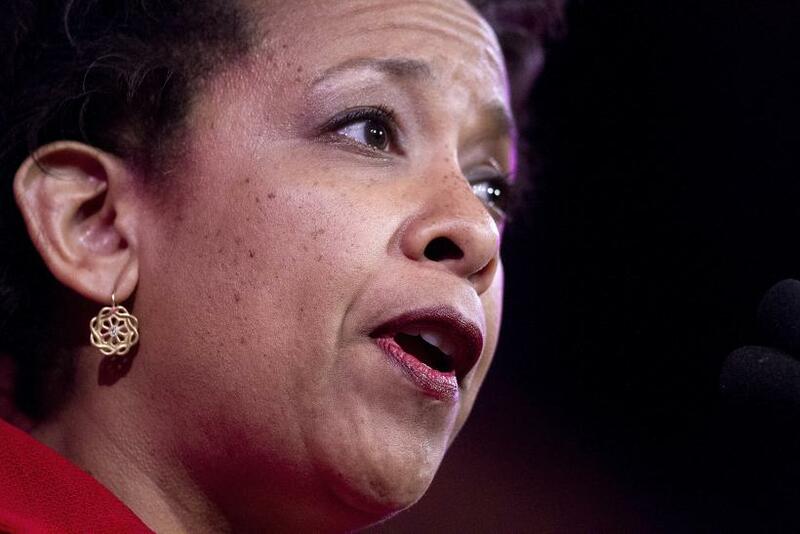 If confirmed, Lynch, 55, would be the nation's first African-American female attorney general, succeeding the first black man in the post, Attorney General Eric Holder, who announced he would step down last fall. Over her long career, she has been praised for battling “mobsters and drug lords and terrorists,” as President Barack Obama put it when he announced Lynch’s nomination last November. But she has largely kept a low profile until now. That will all change Wednesday, when Republican members of the Senate Judiciary Committee grill Lynch on many of her predecessor’s actions on issues such as the legal implications of “amnesty” for undocumented immigrants. 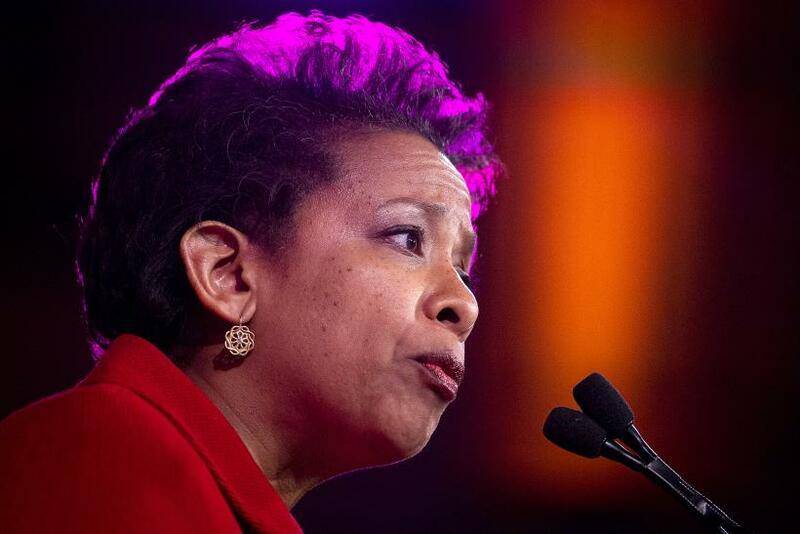 Lynch's nomination also comes at a time of high expectations for the Department of Justice to help effect a culture shift in the American justice system’s treatment of African-Americans and other minority groups in the U.S. Following the decisions not to indict two white police officers who killed unarmed black men in Missouri and New York last year, which caused an eruption of nationwide protests through the fall and holiday season, Lynch’s current office is tasked with investigating the incident that resulted in the chokehold death of Eric Garner, the Staten Island man killed last year after being stopped for selling illegal cigarettes. Lynch’s background and how it affects her handling of civil rights, criminal justice and immigration are undoubtedly being watched closely by a variety of interest groups. Still, wholesale opposition to Lynch’s nomination, even among Republicans who oppose many of the Obama administration’s policies, had not materialized ahead of this week’s Senate confirmation hearings. She was expected to make it through the hearing unscathed. Before being appointed U.S. attorney for the eastern district of New York by Obama in 2010, Lynch served in the role as an appointee of President Bill Clinton from 1999 until 2001. Before that, Lynch had served various roles in the district, rising in rank over a decade. She also worked in the private sector, as a partner in a New York firm working commercial litigation cases and defending white-collar criminals. Many who know of her career said Lynch’s civil rights credentials were earned in the 1997 case of Abner Louima. The then-30-year-old Haitian immigrant had been involved in a scuffle outside a nightclub in Brooklyn, before he was arrested, taken to a police station, beaten and then sodomized with a broomstick by members of the New York Police Department. A responding police officer who said he’d been sucker-punched on the scene mistakenly identified Louima as the culprit, prior to Louima’s sexual assault and torture in a precinct bathroom. The case quickly became a source of anger in New York’s minority and immigrant communities and precipitated nationwide calls for federal examinations into racial profiling, brutality and the use of lethal force by police. Lynch, at the time a senior prosecutor in the U.S. Attorney’s Office but not yet the top official, worked with a team that won the convictions of several New York Police Department officers on charges that they violated Louima’s civil rights, made false statements about the victim’s assault to cover up their roles in the ordeal. A few of the officers’ convictions were later overturned on appeal because of insufficient evidence and questions over whether the trials were fair in the racially-charged environment. Former NYPD Officer Justin Volpe, however, was still serving a 30-year sentence in federal prison after having admitted that he sodomized Louima with a broomstick handle. The Louima saga remains among the nation’s most high-profile civil rights and police brutality cases decided in favor of the victim. On immigration, Lynch does not have a robust record for making public policy statements. However, a 2013 case involving exploitation of undocumented immigrants by several operators of 7-Eleven convenience stores in New York and Virginia provides insight into her views. In June of that year, Lynch announced the arrests of the store operators on charges including harboring dozens of immigrants, falsifying their identities and stealing their wages. “These [store operators] ruthlessly exploited their immigrant employees, stealing their wages and requiring them to live in unregulated boarding houses, in effect creating a modern-day plantation system,” Lynch said in a statement announcing the charges. “As this case shows, we are committed to preserving the rule of law and protecting our communities from the abuses of corrupt businessmen seeking to gain illegal advantage." 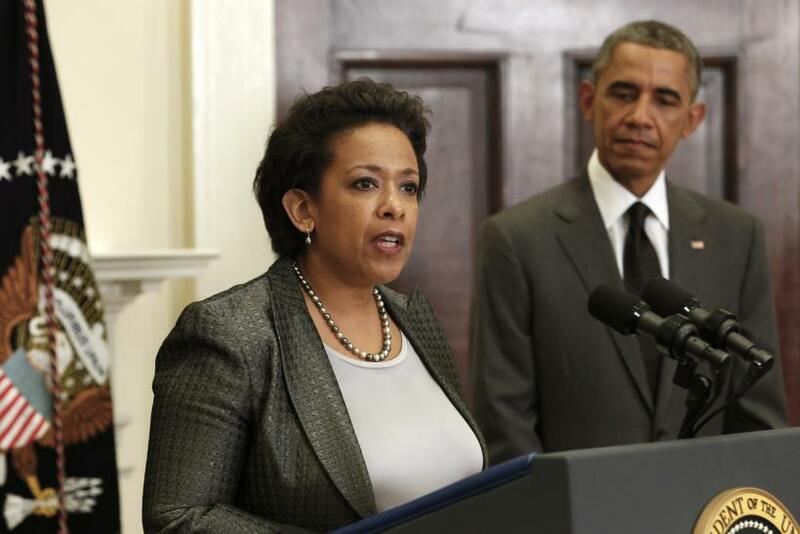 The NAACP supported Obama’s announcement of Lynch as the attorney general nominee: Because of her work in the Louima case, “Lynch is an excellent choice to succeed Attorney General Eric Holder in his groundbreaking work for the American people,” Cornell William Brooks, the organization’s president and CEO, said in a statement after the November announcement. “We appreciate both her exceptional experience and her demonstrated commitment to the civil rights protection for all Americans.” The Congressional Hispanic Caucus, upon the announcement of Holder’s plan to resign, threw their support behind Labor Secretary Tom Perez to become the next attorney general and urged the president to select him. Perez, the son of Dominican immigrants, served as assistant attorney general for civil rights at the Justice Department before being chosen by Obama to lead the Labor Department. “As a dedicated public servant, [Perez] has stood up for working families and advocated for the rights of all Americans – especially the most vulnerable,” Congressman Ben Ray Luján of New Mexico said in a statement on behalf of the CHC last October. There is no indication that Latino lawmakers oppose Lynch’s nomination. Lynch would lead the Department of Justice at a time when civil rights groups in particular are taking stock of Eric Holder’s legacy. While there may be some disappointment in the unlikelihood of federal civil rights charges for Darren Wilson, the police officer who killed the unarmed Michael Brown in Ferguson, Missouri, last year, experts say Holder’s civil rights and criminal justice reform achievements aren’t well known. While praising Lynch’s selection to succeed him, Holder said she had a hand in developing recent policy changes on prison sentencing. “I know that she is both well-qualified and uniquely positioned to continue the critical work that’s underway and build upon the progress we have made over the past six years, from advancing criminal justice reform to safeguarding civil rights,” Holder said in a statement about Lynch. Born in 1959 in Greensboro, North Carolina, to a pastor and a school librarian, Lynch has told stories of spending hours with her father watching court proceedings in the courthouse in Durham, North Carolina. Lynch would go on to receive two degrees from Harvard College, including a law degree from Harvard Law School in 1984.